Amanda Jackson Band: AJB & Friends feat. 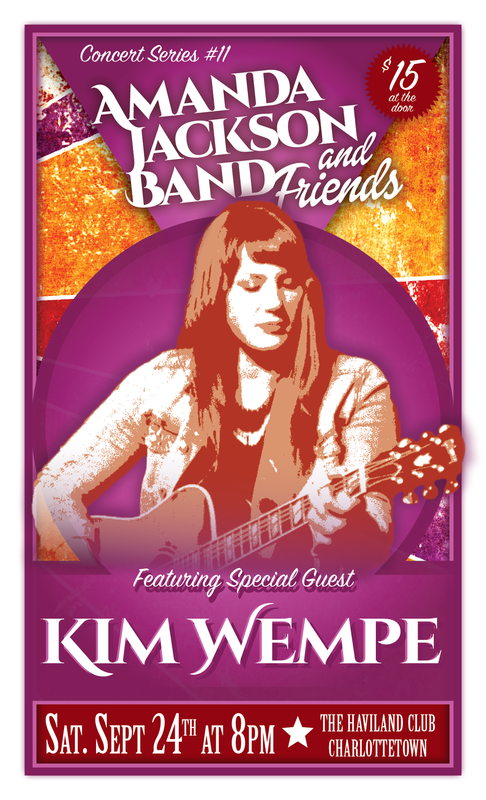 Kim Wempe this Saturday, September 24th! AJB & Friends feat. Kim Wempe this Saturday, September 24th! Wow! We're still riding the high of an incredible time, both performing and as audience members, at the Harvest Jazz and Blues Festival and savouring the amazing summer we've had, it's so hard to believe that it's coming to end. Thankfully we've got the perfect end of summer show lined up for Saturday night and we're looking forward to being back "home" at The Haviland Club. The incredible Kim Wempe will be joining us for the 11th instalment of the Amanda Jackson Band & Friends Concert Series and we couldn't be more excited! All of the details can be found here. Please join the event and let us know you're coming! You won't want to miss it! P.S. If you're at the show on Saturday, you'll be amongst the first to hear who our very special guest is for the season finale on November 26th!